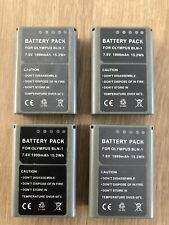 Olympus BLN-1 7.6v 1220mAh Battery For Olympus OMD E-M1 Camera . Condition is Used. Dispatched with Royal Mail 2nd Class Letter. Olympus BLN-1 7.6v 1999mAh 15.2Wh Battery For Olympus OMD EM-1. Condition is Used. Dispatched with Royal Mail 2nd Class Large Letter. olympus tough styus TG-Tracker green under water . Condition is New. 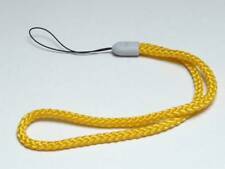 Dispatched with Royal Mail 1st Class.unwanted gift. Vintage ‘Olympus OM’,1-10 Focusing Screen-NOS! The lens case in good condition. Excellent Condition and in Full Working Order. 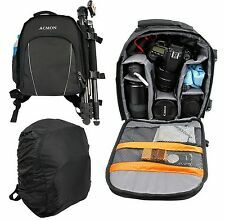 Good Quality Photographic Accessories. Ultra-compact, with fast data transfer rates, the Type M xD Picture Card is currently available with up to 2GB of storage capacity. Olympus Branded Camera Strap. Used, in good condition. Metal clips are worn-looking and one doesn't unclip smoothly, but otherwise fine. 1GB OLYMPUS XD PICTURE CARD TYPE M+. Used so may contain old images ? 1GB OLYMPUS XD PICTURE CARD TYPE M . Used so may contain old images ?. Condition is Used. Dispatched with Royal Mail 2nd Class Letter. Olympus xD M plus Picture Card is compact for smaller and more stylish digital devices. Compatible with most manufacturers' xD M compatible devices. Card features 2GB of storage space. 16GB 32G 64GB SDDD3 SanDisk 150MB/s M3.0 Micro Flash Drive USB3.0 OTG Ultra Dual. Olympus/Fujifilm 16MB xD Picture Card - Camera Memory Card. Condition is Used. Dispatched with Royal Mail 1st Class Letter. EXC Very minor signs of use only. EXC Signs of moderate use but no bad dents or deep scratches. Gradings guide. Nikon D3100 with 18-55mm, Sony A37 with 18-55mm, Olympus OM-D EM-1, Olympus OM-D E-M5. Olympus Genuine Leather Digital SLR case. Originally designed for the Olympus E-100RS and C-2100UZ, this case will fit many modern SLRs including. Perfect for longer shootings with the HLD-6 / HLD-7, HLD-8 or while travelling without a possibility of recharging. •Official Olympus. We know how important quality is, and we ensure that each and every item is thoroughly checked over before we list, so that we can give us much detail as we can. •With strap. Lot of 7x Olympus OM lens containers. Incl for 18mm and shift lens. GOOD: 80-89% of original condition - shows moderate wear for the age of the item. FAIR: 70-79% of original condition - shows more than average wear for the age of the item. OLYMPUS PART NO : 13658. Olympus E-500 DSLR Camera With 14-45mm & 40-150mm Zuiko Digital Lens. OLYMPUS 150N SOFT CASE POUCH . Authentic Olympus lens accessory case. Olympus Leather Case for OM-2 only. However,Up to 2kg For more than 2kg,multiple of luggage. Condition： USED ( Excellent ). There are No dings, No dents. SAL takes 2-6 weeks. EMS takes about 1 week. OLYMPUS Leather(ette) Ever-Ready Case 1.4N for OM10. OLYMPUS m -mini Soft Case & Neckstrap. 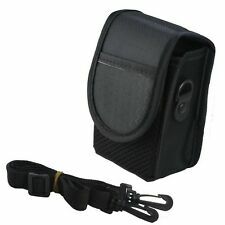 A spare battery can be transported in a small seperate case attatched to the neckstrap. Colour: ORANGE. Condition: NEW, Boxed. The compact size lets you carry them anywhere and because it's compatible with many reader/writers, you can download data to a computer or another device in a jiffy. 2 x 2G XD card. 10 Years experience. Olympus xD M plus Picture Card is compact for smaller and more stylish digital devices. Compatible with most manufacturers' xD M compatible devices. 16GB 32G 64GB SDDD3 SanDisk 150MB/s M3.0 Micro Flash Drive USB3.0 OTG Ultra Dual. OLYMPUS XA / XA2 / XA3 / XA4 Macro. Battery Cover [BLACK]. 1 x Battery Cover [Black]. Rest of the World. You can then take pictures through the scope. This T2 mount is a thin version and the distance between the front and rear flanges is 7mm. Olympus ì 710 Olympus ì 720 Olympus ì 720SW Olympus ì 730 Olympus ì 740 Olympus ì 750 Olympus ì 760. Olympus FE-190 Olympus FE-220 Olympus FE-220D Olympus FE-230 Olympus FE-240 Olympus FE-250. Olympus FE-280 Olympus FE-290 Olympus FE-300 Olympus FE-320 Olympus FE-330 Olympus FE-340. Condition: NEW, NOT Boxed. Plastic Pouch. Rest of the World. United Kingdom. 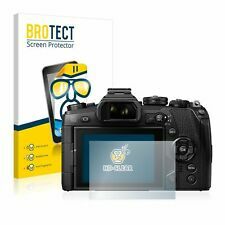 Write Protect Sticker (x4). C-2000 Zoom. Also compatible with various Voice Products, ie DM-1. Olympus, Compact Camera Case, Red/Black, £19.36, New other (see details), Missing Original Packaging. All Parts and Accessories Included., Adjustable flap closure., Brand Logo Detail, Black & Red Two-Tone Mesh/Nylon Material with lining. Olympus TG-5 Tough Camera - Black. Condition is very good always had screen protector on. Dispatched with Royal Mail 1st Class.